Once I was wandering around in a discount store and I found it, the solution to my drama! There it was, the perfect gadget. A holder that was going to help me to sort them and keep them straight. I bought it and went back home so happy, wasting no time to put my new discovery inside the cabinet. I placed all the trays and cutting boards sorted by the materials they are made of, and I could even fit in my glass cutting board without fearing it could break down! 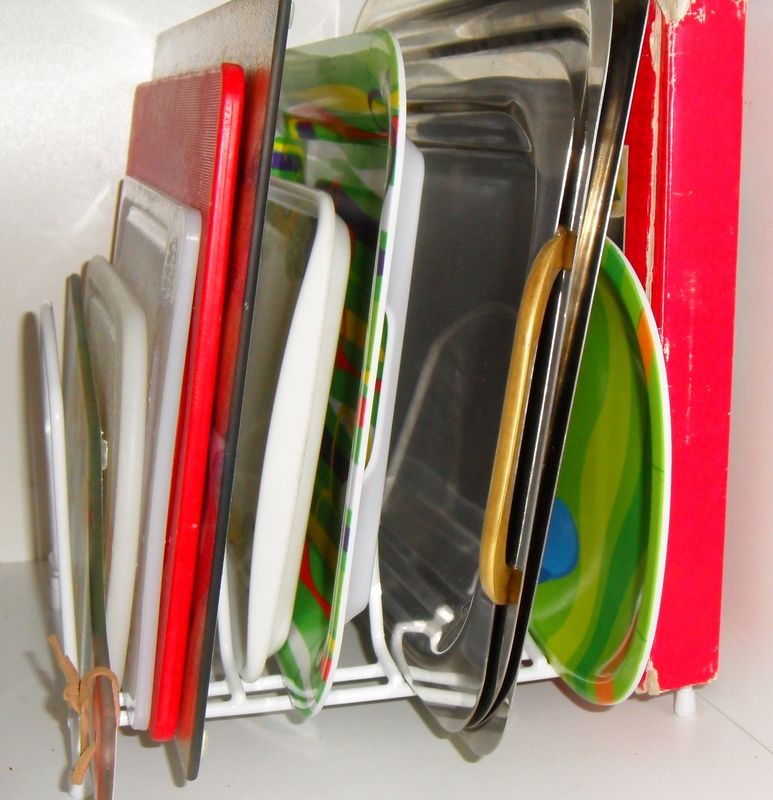 And what’s more, because the holder keeps the trays off the shelf, I can easily clean underneath them (As you know, sometimes trays carry uninvited leftovers to the cabinets and they stay there until the day that you decide to remove them all for cleaning). Not only did I find this holder amazing for myself, but I also suggested it to friends who have made good use of this organizing tool in their own different ways. I hope you find this very simple tip useful!